On the morning of November 4, 2015, Elsebet Helga Maybury-Lewis (known to her friends and family as Pia) succumbed in her sleep to the cancer she had battled repeatedly for over fifty years. She was 89. Pia was born on June 1, 1926 in Rosenvold, the fifteenth-century farming estate in Jutland, Denmark run by her parents Olga and Henning Henningsen. Two years later, the family moved to their own farm, Falkenhoej (“Falcon Crest”), in Zealand, where she spent many happy years with her three older bothers Carl Henning, Bent, and Paul. Life was not always easy, and she recalled how during the Depression her father faced crippling debt; somehow, friends managed to pass the hat, and, a mere two hours before the farm was due to be sold off, in a scene anticipating “It’s a Wonderful Life”, the mortgage was paid. During WWII, Pia and her brothers were active members of the Danish Resistance. Pia was tasked with looking after weaponry, and she kept two machine guns hidden in the attic of her small apartment. Under the dreadful shadow of Hitler’s occupation, Pia’s father helped secure passage away from Nazi-occupied Denmark for an Orthodox Jewish friend and his family. After hiding out on the family farm, the family escaped on a fishing boat from Helsingør to Sweden. Pia’s father would look after his friends’ farm until they were able to return after VE Day. In the years following the war, Pia travelled to live and work in Cambridge, England. It was here, at a fancy dress ball, in 1954, that she famously met her future husband, David Maybury-Lewis. David was dressed as the devil and Pia, fortuitously, as a black soul! Shortly thereafter, David asked Pia to marry him. Following a six-week engagement, a small wedding was celebrated in Sorø, Zealand. Soon after, in an event anticipating much travel in later life, Pia and David briefly worked together as tour guides in central Europe to earn their passages to South America; Pia used to chuckle that historical and geographical fact might on occasion make way for alternative stories. By the early 1950s, David had obtained his BA at Cambridge University in the UK and his MA at the School of Sociology and Politics in São Paulo and embarked on a career in Social Anthropology in Brazil. Pia worked by David’s side as they flew in tiny Brazilian Air Force mono-propeller aircraft and trekked to the then largely unknown Central Brazilian Araguaia-Tocantíns Rivers region to live with the Sherente and Shavante tribes. In 1957, Pia’s son Biorn Maybury-Lewis was born. The young family would live together with the Shavante for an 18-month period, beginning in 1958, traversing the backlands with these quite fierce, almost naked tribal peoples, while having no contact with the outside. Their family was the first group of “outsiders” to live with the Shavante who had, until the late 1940s, been hostile to the surrounding world and accustomed to roaming, as forager hunter-gather nomads, through vast areas of Brazil’s upland hinterland known as the cerrado. Biorn almost died in a bout of childhood dysentery but, thanks to Pia’s frantic dash by canoe, motor boat, horse, and piper cub plane to a hospital in the city of São Paulo, she was able to save him. David would later write a book, The Savage and the Innocent, which chronicled these strange and exotic years of conducting field work in some of the most out-of-the way corners of the Brazilian interior among tribal peoples. Pia, of course, played a central role in this chronicle as confidante, companion, adventurer, scout leader, and first aid provider. They went where literally no non-indigenous peoples had gone before, and the book documents how important a role Pia played in making the work possible. The Savage and the Innocent, although not technically a work of social anthropology or ethnography, still remains one of the most widely read, candid, and thought provoking works on the anthropological “field work” experience. After David defended his doctoral dissertation at Oxford in 1960, he and Pia moved to Cambridge Mass., where David joined the faculty of Harvard University for a short nine-month appointment. This very modest start would eventually turn into a 44-year career at Harvard’s anthropology department. 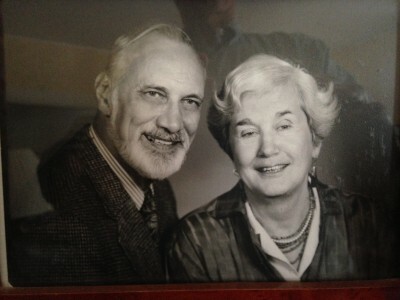 During the 1960s and 1970s, David and Pia played an important role in developing the social sciences in Brazil with funding from US foundations while on a series of leaves from Harvard. This meant long stints of time living and working in Rio de Janeiro where David founded, together with his life-long friend, the late Dr. Roberto Cardoso de Oliveira, the Post Graduate Program in Social Anthropology at the Federal University of Rio de Janeiro in 1968. It also meant more than a year of David and Pia living in Recife, where David conducted research on Northeastern society while helping to found the Federal University of Recife’s Post Graduate Program in Sociology with his friend and colleague, Professor Heraldo Souto Maior. All the while, Pia helped David to develop a network of Brazilian and US-based social scientists, that would eventually lead to the creation of the generation of Brazilian anthropologists who, today, are the leaders of the discipline in their country and known world-wide. All of them became life-long friends of Pia. Having witnessed first-hand in Brazil the upheavals that were besetting tribal societies around the globe, Pia and David founded the human rights organization Cultural Survival (CS), in 1972, with a group of other professors of sociology and anthropology at Harvard, all of whom were deeply concerned about the fate of tribal peoples and ethnic minorities in the face of the disorderly “development” in the post WW II world. CS is a non-profit organization dedicated to advocating for and providing scholarly information on indigenous peoples and ethnic minorities. At CS, Pia worked tirelessly from the outset. To raise awareness and funds, she founded the CS Bazaar (a forerunner of the Fairtrade movement), involving tribal peoples and their artisan goods. This CS Bazaar Program still goes on, with indigenous people who have known Pia for over 30 years. Pia also launched the CS Intern Program which has served as a springboard for the careers of many hundreds of students and activists concerned with indigenous and minority rights. CS itself has dubbed Pia the “heart” of the organization. Cultural Survival survives the passing of its founders and is thriving to this day from its headquarters in Cambridge, Massachusetts. Pia’s enduring concern for indigenous peoples, as well as her insatiable appetite for life and adventure were testified to when, in 2011, the day after her 85th birthday, she embarked on a journey by rail across Europe, Siberia, Central Asia, Mongolia, and China, meeting and interviewing along the way members of advocacy groups and national minorities. Pia is survived by her sons, Alan Biorn Maybury-Lewis and Anthony Maybury-Lewis; also her grandchildren, David Tamekazu Maybury-Lewis, Biorn Tamesuke Maybury- Lewis, Anthony Motoy Kuno-Lewis, Akiko Elsebet Kuno-Lewis and her great grandson Ethan Maybury-Lewis. There are many cousins and nephews in Denmark and England lamenting the passing of one of the senior members of their families. The Maybury-Lewis family asks that instead of flowers, tax deductible contributions be sent to Cultural Survival (at CS.org), mentioning Pia’s name.